The spirit Arnel tells us that in the heavenly spheres ten and below, are one of service and learning – and protecting us on earth. While graduation to sphere eleven is the beginning of a completely different set of duties – that of actual creation and discovery of the mysteries of the universe. “Hitherto the duties performed by those spirits in their advance have been, on the whole, of protective and strengthening quality. Guardian angels you would call them, mayhap. This help truly develops and becomes of more spiritual tone as they rise higher. But essentially it is of the same order, if of different aspect, in its application to those who are watched and aided, , both in the earth-sphere, and in all those spheres intervening up to the Tenth. What is plainly said, is that from the first levels of heaven up to the tenth, the focus is on guiding lesser spirits to the light. The light of love, charity, fraternity, and honest dealings with all. The entire organization of these spheres is mainly to prepare students for an actual career. Earth and the first ten spheres of heaven is similar to a comprehensive campus, with a grade school, middle school, high school, and a university. Whereas the university students are given the tasks to assist the lower students in their progress through their courses. The administrators exist in another building, their duties mainly to watch over the university students to make sure they are completing their teaching duties successfully and to audit and track progress of all students. The revelation that Arnel gives us is what is ahead when one finally graduates. Here on earth we think of dying and waking up in the spirit world as our final destination. It is not. It is but one small transition. Like the bell ringing, getting up from your desk, walking the corridors and then sitting down to begin another lesson. Only when all required curriculum is completed does one actually exit the campus … the campus is extraordinarily vast and will take thousands of lives, if not more, to walk out into another world. A world where we begin to learn about the inner workings of the spirit universe. Whereas before, we were taught to use the tools allotted to us, to discipline our minds, to increase our faith – all in order to more efficiently employ the attributes that we have accumulated and the features of the heavenly environment. Starting in sphere eleven, we journey behind the scenes to discover how the machinery of the spirit realm is actually manufactured. It is as if we have taken programming classes for years; ever-increasing our knowledge of software and how to manipulate it to create the applications we desire – but now we begin to launch into how the hardware which host the software platform is fashioned. We begin to learn the inner workings of the operating system upon which the software resides. I believe this is what Arnel meant when he said “inward Potency”. What is the potential of the spirit universe, what does its makeup really mean to how far we could bend the current shape of reality? How plastic, how elastic is reality? Hence, besides a series of small upward steps toward an identifiable goal, we are also traveling along a path, that actually follows a submerged highway, which is guiding us to a goal that we don’t realize is in our future. 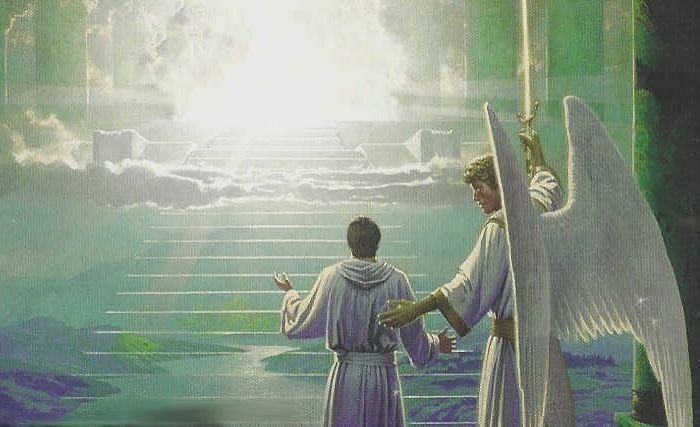 Heaven is for eternity and our journey, for all time, will never be dull, as long as we continue striving and thirsting for new knowledge.